Is "The Laser Show" about to end or a new chapter will be written? The 2014 season ended earlier for the second baseman due to a season-ending surgery. 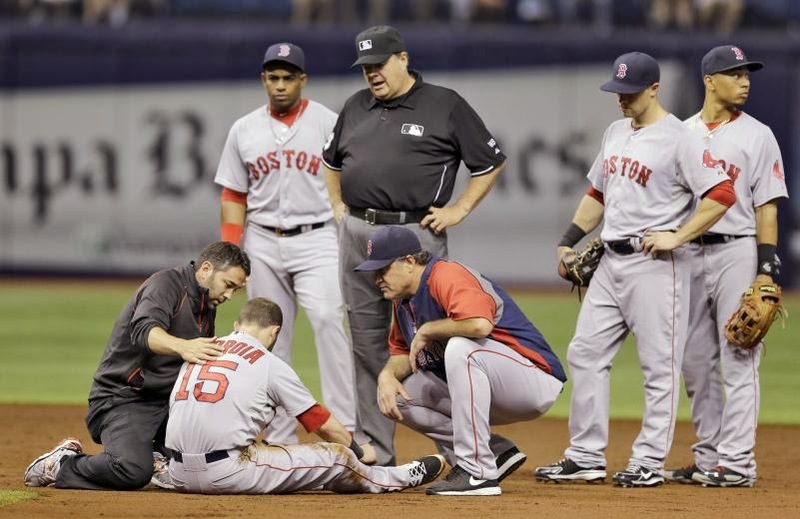 Pedroia had been dealing with a left hand injury since April 4 during a game against the Milwaukee Brewers, but injury issues began since Opening Day of 2013. For what it's worth, he ended that season batting .301, with a 7th place in the MPV voting and a Golden Glove. Stating this, it's fair to ask if Dustin Pedroia is starting to slow down in his "The Laser Show" gimmick. Let's go to the numbers. ► .997 career fielding percentage. ► Averages 4.8 errors per season. ► He has not played in less than 135 games per season. ► Third place in career leader in fielding percentage as a second baseman, with .9917. The first place is Placido Polanco with 16 years in the Big Leagues and .9927 and the second place is José Oquendo with 12 years in the Big Leagues and .9919. ► .444 career slugging percentage. ► .366 career on-base percentage. ► In 162 steal attempts, he has been caught only 37 times. And finally, let's take a glance at his 2014 season, perhaps his strangest season yet. ► From April to July, he averaged 26 games per month with a BA of .275 and 28 hits per month. The funny thing is that during August (his last full month), he played during 26 games with a BA of .297 with 33 hits, his best month of the season. His injury came at its worst during September, where he only played for 4 games. So, what conclusions can we get from all of this? Pedroia is still one of the best (if not THE best) second baseman of the League. His age might be an issue during the future, but if we look closely at his style of play and numbers during the last three years, if he remains healthy nothing will stop him. He played a whole season with an injured left thumb and ended up winning a World Series and a Golden Glove. If this offseason has been healthy, I'm sure he'll be an excellent player during 2015. You can mark my words if you want, because I have the feeling that he's going to be a top 3 MVP finalist. Pedroia: "I plan on playing 162." 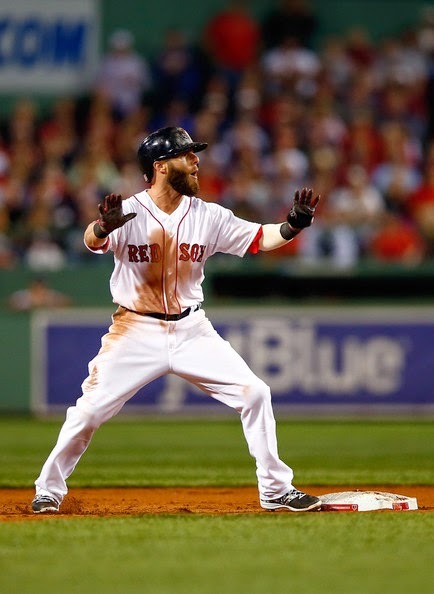 How do you think the 2015 season is going to be for Pedroia? Do you have confidence in him? Will he be better than 2014? Post your comments below and let us know!